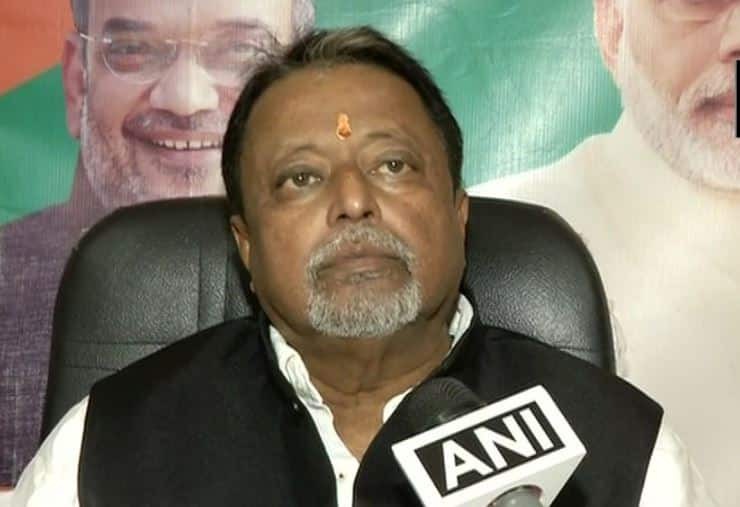 KOLKATA: Hours after the West Bengal Police booked Bharatiya Janata Party (BJP) leader Mukul Roy in the FIR regarding the murder of Trinamool Congress (TMC) MLA Satyajit Biswas, the senior BJP leader has slammed the TMC saying that when anybody is killed in West Bengal, the state government tries to implicate BJP leaders. Mukul Roy, a former TMC MP, demanded that the probe, in this case, should be done by an independent agency. “In the entire state of West Bengal, when anybody is killed by their own ppl or by other miscreants,TMC&govt try to implicate it that it is by leaders&workers of BJP.I demand probe by independent agency,” he told ANI. Mukul Roy also attacked West Bengal Chief Minister Mamata Banerjee and said that she is scared of BJP’s rising popularity in the state and he has been named in the FIR for this murder only on orders of Mamata. “Mamata (West Bengal CM Mamata Banerjee) is scared of us. It is on orders of Mamata that allegations are being levelled against BJP for this murder,” Roy remarked. Biswas was shot dead in Nadia district of West Bengal by some unidentified assailants on Saturday evening. Biswas was shot at point blank range when he was at a Saraswati Puja inaugural event. He represented TMC from the Krishnaganj constituency in the state assembly.